Summary: A sermon examining the elements of genuine revival. Years ago Dr. Adrian Rogers said "Our homes need revival. Our churches need revival. This nation and the world need revival. 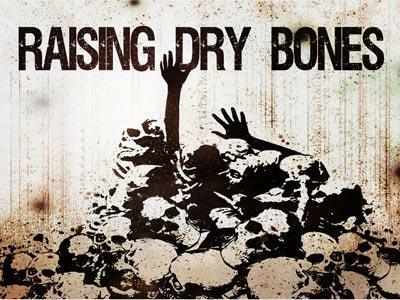 But no military power can bring revival. No economic upturn brings revival. And no election can bring revival. Revival is the sovereign work of Almighty God. Genuine revival cannot be manufactured. I can’t preach it down, you can’t sing it down, we can’t pray it down, but God can send it down! Before we will ever see revival, God's people must first recognize the fact that they have drifted away from the Lord. For many professing believers, there is a barrier... a separation... a hindrance in your relationship with God. Isaiah 59:2 (says that) "your iniquities have separated between you and your God, and your sins have hid his face from you, that he will not hear." Because your relationship with God is not where it should be, church has become nothing more than a ritual or a routine. You come in the door at the same time each week, you shake hands and give hugs, you make your way to your pew, then you sit down fold your arms and say Lord bless me if you can. You find yourself mumbling through songs about the grace, mercy, and the love of our Saviour. When the plate is passed you throw in what is left over after the weekend’s events. After this, the preacher gets up and you endure another sermon, then you stand for the invitation, someone dismisses in prayer, and you go home thinking that you did God a favor. At the end of the day you are uninspired, unmoved and unchanged. There are others who have not quit church, or left one church seeking a "better" one. No, they still attend their home church, though not near as often as before. They used attend every time the doors were open, they used to teach, they used to help in children's or youth ministry, they used to come early and stay late. I am talking about people who used to be active servants of the Lord, but now they are inconsistent pew warmers! There is another group who have the same qualities except for the fact that they attend every service. But they do little more than attend...they don't serve, they don't contribute, they don't participate... they are nothing more than "active pew warmers". Sadly, I am not describing some hypothetical situation, nor am I describing some church across town. What I have given you is a perfect description of many people who are on the roll of Stockdale Baptist Church. 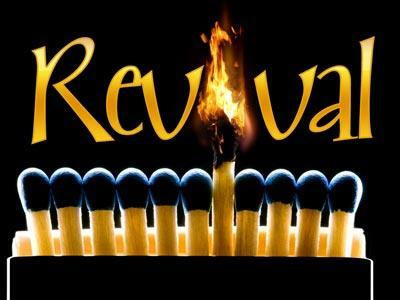 It is apparent that we need renewal, we need revitalization.... WE NEED REVIVAL!!! In I Samuel chapter 7, Israel was in desperate need of revival. They had been attacked, overcome & defeated by their enemies The Philistines. The Philistines had taken possession of the Ark of the Covenant. The Ark of the Covenant was the chest which held the two stone tablets of law which Moses brought down from Mount Sinai. The Ark was renowned for its powers against the enemies of Israel. During the time of Eli (the High Priest) the Ark was kept at Shiloh. The Philistines defeated Israel at Ebenezer - 1 Samuel 4:2 "And the Philistines put themselves in array against Israel: and when they joined battle, Israel was smitten before the Philistines: and they slew of the army in the field about four thousand men." - The Israelites fetched the ark out of Shiloh and carried it into their camp. Once again the Philistines attacked Israel and smote them with a very great slaughter, "for there fell of Israel thirty thousand footmen. And the ark of God was taken" 1 Samuel 4:10). A messenger told Eli that Israel had been defeated and that his sons had been killed in the battle Eli also learned the Ark had been taken. Upon hearing this Eli fell backward, broke his neck, and died. Shortly thereafter Eli’s daughter in law went into labor and died after giving birth. 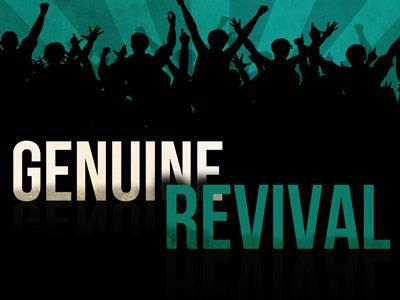 A sermon examining the elements of genuine revival.